Richard Noble & Company has serviced the property industry for over 100 years and has established over 20 master planned communities in Western Australia. From urban residential estates to exclusive waterfront luxury developments, each Richard Noble & Company community is unique. 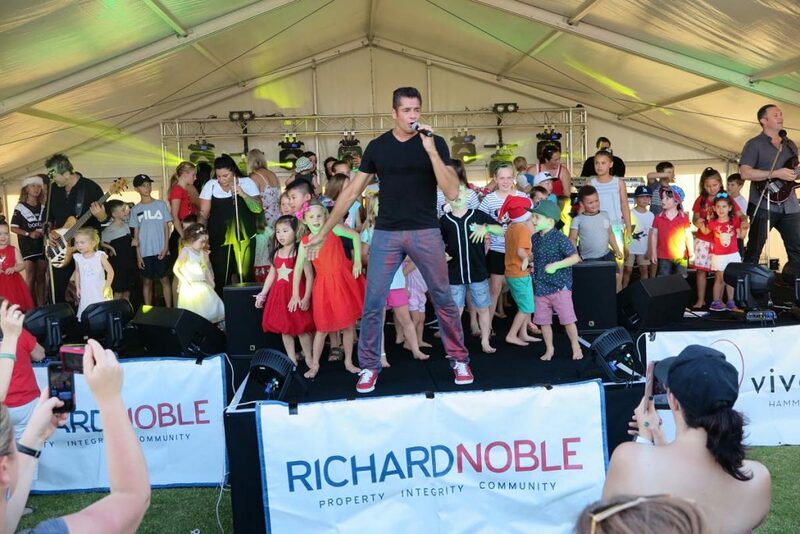 Recognising that communities can be powerful in driving positive economic, environmental and social outcomes, Richard Noble & Company aims to create opportunities that encourage residents to nurture and grow a community’s pride and spirit. and presenting free community events. These are just some of the ways we help to build a happy and safe community. 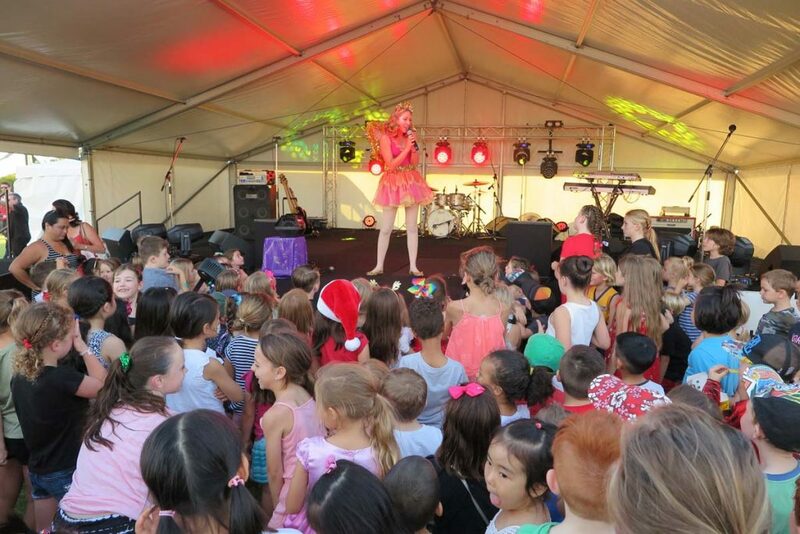 Richard Noble & Company together with development partner Gold Estates have presented the annual Hammond Park Christmas party for over ten years, bringing the Hammond Park community together at one large local event each year. The event encourages residents to get to know each other and assists local groups in raising funds and driving membership numbers. It also gives local businesses the opportunity to promote themselves and strengthen the local economy. 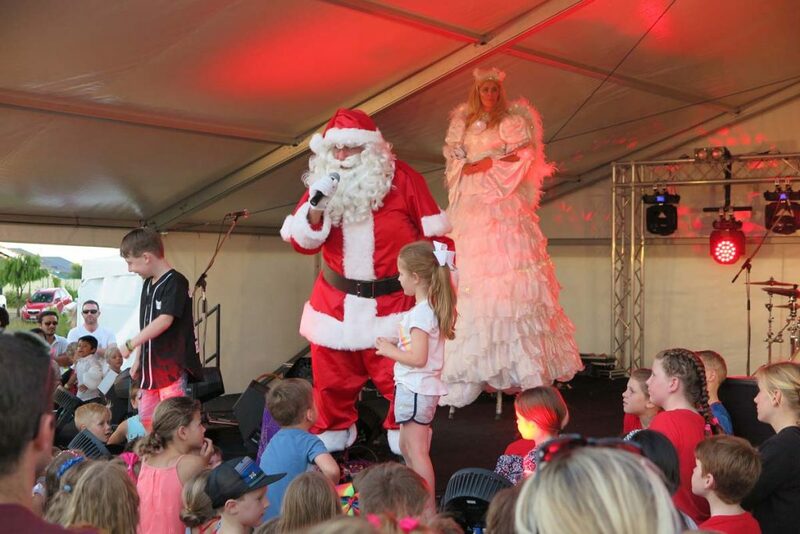 The event grows each year and in 2017 the event brought in a record attendance of over 2,500 local residents and visitors! Richard Noble & Company and Gold Estates are proud to get behind the Jandakot Volunteer Bush Fire Brigade, a dedicated group who ensure the safety and protection of local residents in the event of a fire or medical emergency. 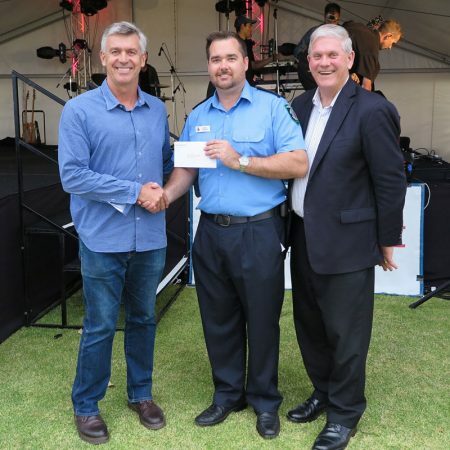 We’re glad to see our donation has contributed to the purchase of some critical safety items to better service the City of Cockburn residents and the greater community of Western Australia. “Thank you again to everybody at Richard Noble & Co and Gold Estates for this very generous donation towards the Brigade and the ongoing support of the community. We are all still in shock at the AMAZING amount and truly feel honoured to be the chosen recipient this year. This money will be well spent on improving the conditions our crews face on the fire ground and improving access to specialist medical equipment for our crew members and the general public at incidents. 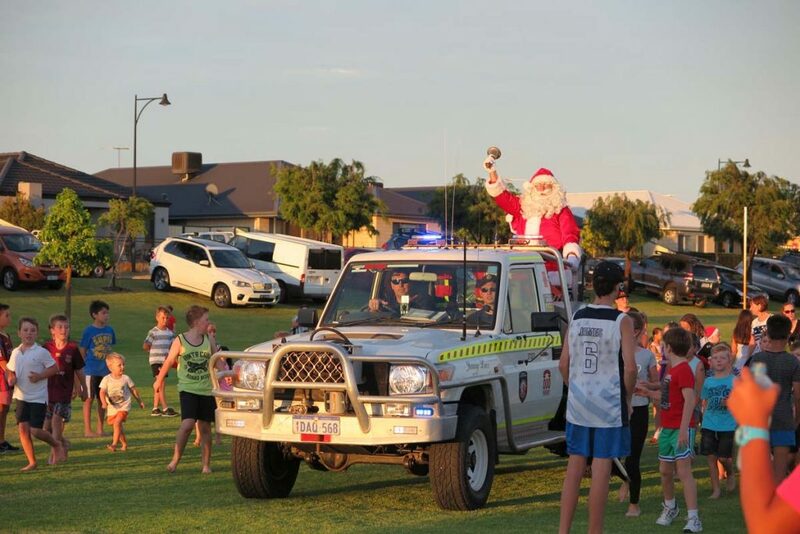 We look forward to inviting Alex and the team out to our station some time in the new year to see the positive effect they have had on Jandakot VBFB. Richard Noble & Company together with Gold Estates presented the Hammond Park Primary School with a donation to contribute towards the early childhood playground. The donation was awarded during the 2017 Hammond Park Christmas Party presented by Vivente. Now that the water play equipment has finally been installed, Summer recess at Hammond Park Primary School will be so much ‘cooler’. 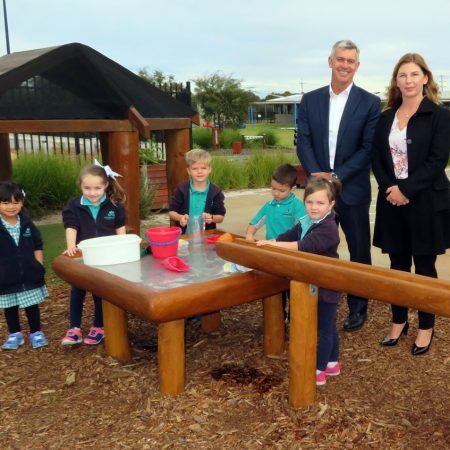 Hammond Park Primary School’s Associate Principal Nichola Butler said that the school is always looking for ways to expand on the playground infrastructure and the new water play equipment compliments the existing playground perfectly. Hammond Park Primary School is an Independent Public School that caters for children from Kindergarten to Year 6. The school is located just 2.5 kilometres away from Vivente estate in Hammond Park and prides itself on its diverse community and culture. We also support a range of charities and institutions that provide essential services to those in need. Charitable organisations and community associations such as Edmund Rice, WA Opera, Anglicare Winter Appeal, and Uniting Care West. 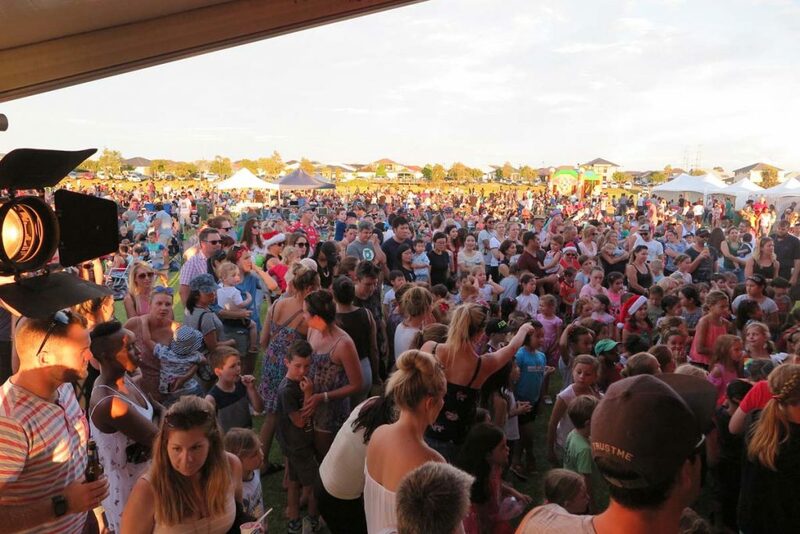 We value the importance of keeping the community connected and keep our subscribers updated with local suburb and Estate news via regular email updates. Please email sales@rnoble.com.au with the land estate you are interested and we will keep you updated will events, news and local stories.